Ages 12 – 19 years of age, Unstructured 2.5 hours of fun, 2 hours of unlimited jump attractions, $10/Teen Arcade Game Card, 6 Pairs of jump socks, 2 Large Pizzas, Bottomless Soda, Unlimited Cupcakes, VIP Club Party Room with a doorman to keep parents out, & Party Attendant. 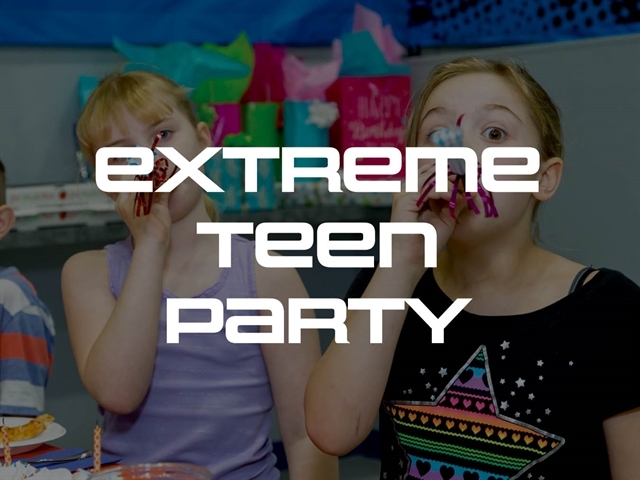 Extreme Teen Parties can only be booked on Friday and Saturday Nights. Times: 7:30-10:00pm or 8:00-10:30pm.